"In its 50th anniversary year we wanted to create a truly international event for Doctor Who fans in as many countries as possible," BBC Worldwide CEO Tim Davie said in a statement, "and the simultaneous broadcast and cinema screening of the special across so many countries will make for a fitting birthday tribute to our Time Lord." The BBC announced the plan on Tuesday, complete with of a list of countries where its affiliates will be airing the episode at the same time that it screens on BBC One on November 23 (or November 24, for those on the other side of the international dateline). The special episode in question, "The Day of the Doctor", will feature current Doctor Matt Smith alongside earlier incarnation David Tennant, accompanied by companions Rose Tyler (Billie Piper), Clara Oswald (Jenna Coleman), and guest star John Hurt as yet another incarnation of the Doctor. We're told it will also feature some familiar baddies, if you don't mind a spoiler or two. For those who don't have 3D sets – or who just want to see the TARDIS spinning on the largest screen possible – movie theaters worldwide will also screen the episode in 3D at the same time as the television broadcast. This will be a one-time-only cinema event in most regions, but the BBC's FAQ suggests that some theaters may schedule "additional screenings." 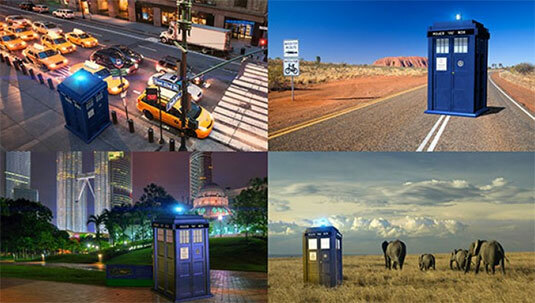 Fans are instructed to check www.doctorwho.tv for locations and ticketing information in the coming weeks.